Ian Byrnside is an experienced litigator and trusted advisor, focusing his practice on complex commercial litigation, healthcare litigation, and media law. Drawing on the depth and breadth of his experience, Ian represents clients ranging from individuals to large international companies in high-stakes litigation involving commercial contract disputes, business torts, and the federal False Claims Act. Ian also helps hospitals and other healthcare providers navigate and resolve medical claim disputes, restrictive covenant litigation, and peer review and medical staff privileging matters. 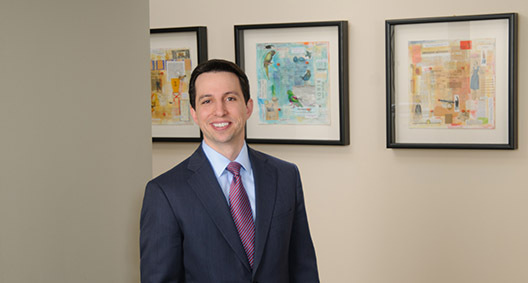 In his media practice, Ian helps news media and other content providers bring, defend, and avoid various types of litigation, including First Amendment, public access, and privacy and defamation matters. Ian is a member of the Hiring and Recruiting Committee for the Atlanta office and is actively involved in the summer program and mentoring program. Represented one of the largest industrial distributors in North America in a lawsuit seeking several million dollars for alleged breach of fiduciary duty, breach of commercial contract, misappropriation of trade secrets, and unfair competition. Obtained summary judgment on all claims, in addition to recovery of a portion of the client's attorney's fees. Represented the largest medical device implant management company in the country in pursuing a series of arbitrations against large national payers for unpaid medical claims. Obtained multiple arbitration awards resulting in the recovery of millions of dollars. Represented a national digital media company and local news station in a successful action to unseal the autopsy report of Bobbi Kristina Brown in connection with investigative news coverage regarding a nationwide epidemic of drug abuse by affluent young adults. Serves as outside general counsel for an internationally recognized planner, developer, builder, and operator of major sports fields and parks in various business matters and commercial litigation. Defended a global research and development organization in a commercial contract lawsuit. Secured summary dismissal of the lawsuit and waiver of the plaintiff's right to arbitration. Defended a global operator of regulated exchanges and clearinghouses in an arbitration involving alleged breach of a commercial consulting agreement. Negotiated favorable settlement for the client resulting in dismissal of arbitration action. Represented a global construction company in a dispute with a subcontractor over improperly retained funds. Obtained TRO, interlocutory injunction, final judgment, and full recovery of funds for the client. Secured numerous judgments totaling more than $45 million for financial services clients in suits on notes and guarantees, including several attorney's fees awards. Defended a specialty rubber manufacturer in a False Claims Act case related to a government defense contract. Successfully convinced the U.S. government to decline to intervene in the case, resulting in voluntary dismissal of a substantive False Claims Act claim. Negotiated favorable settlement and dismissal of a related retaliatory discharge claim brought under the False Claims Act. Represented a major community hospital in a dispute with a competitor over noncompete and non-solicitation covenants. Successfully intervened and obtained declaratory judgment holding the competitor's restrictive covenants unenforceable in their entirety. Represented the largest home healthcare and hospice provider in the country in pursuing an arbitration seeking dissolution of a joint venture based on the breach of a noncompetition covenant. Negotiated favorable settlement, including resolution of counterclaims that sought more than $5 million in damages. Represented a major nonprofit hospital system in a suit against a competitor hospital and physician asserting claims for breach of fiduciary duty, tortious interference, and breach of contract. Negotiated favorable settlement of all claims and counterclaims. Represented an international cable television network against defamation claims arising from statements made in broadcast episodes of a reality show. Secured summary judgment, which was affirmed on appeal. Serves as outside counsel for a national media conglomerate and local news provider on issues related to news gathering and public access, prepublication review, and litigation matters.